Our Musical Miracles team is passionate about helping children participate in and appreciate music and the arts. We are professionals, musicians, parents, grandparents, and teens who enjoy coming together to inspire children through the arts. Musical Miracles always welcomes volunteers to assist with special events and our regular business operations. If you are interested in getting involved, please contact us at Info@MusicalMiracles.org. We need and apappreciate your support! ArtGap believes that regardless of funding, all children should be able to explore their own creative solutions & experiences. High Voltage Fitness. ElectriKids inspires today’s youth to pursue an active lifestyle through their hip-hop and fitness driven music and dance classes. Developing and nurturing students of character in an environment of integrity and excellence through the study of the arts. 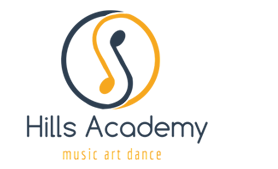 Hills Academy provides high caliber music, art, dance, and afterschool care programs with professionally trained teachers in the South Bay while tailoring each student’s individual experience to maximize achievement and fun equally. If You Think People Should Hear About This!